This is our second expedition to Khane valley, after exploratory 2011 expedition (report can be send on request). 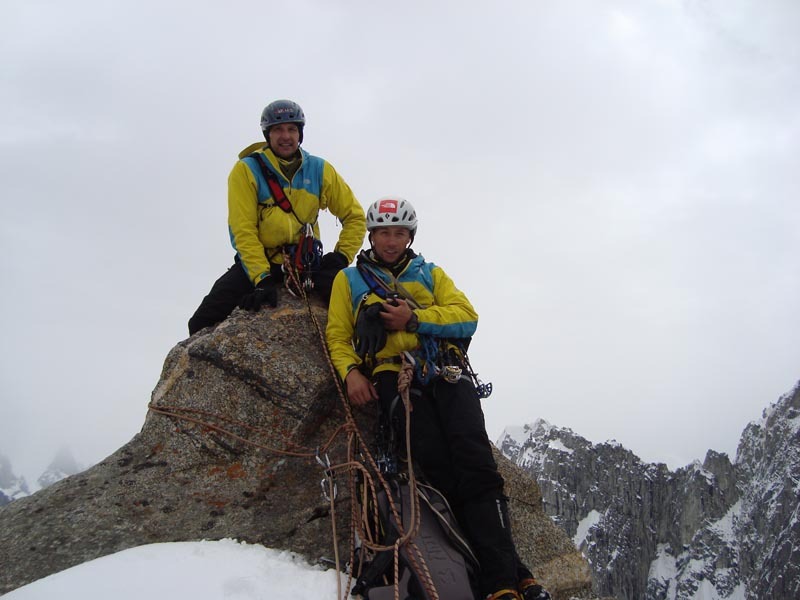 This August we managed to make two new routes on two of virgin peaks: Levski Peak and Grey Tower. We climbed and reached the summits and measured their altitude with Garmin GPS (geometrical altitude). This year our base camp we place at so called Boulder Base Camp, 4050 m, in the middle of First Terrace. It is a beautiful, green and flowery spot, near the river and around some big stones. We make a tent under the wall, at 5050 m, in the icy circus between peak Sofia, Singu Chatpa (Great Tower), Levski and Rila. 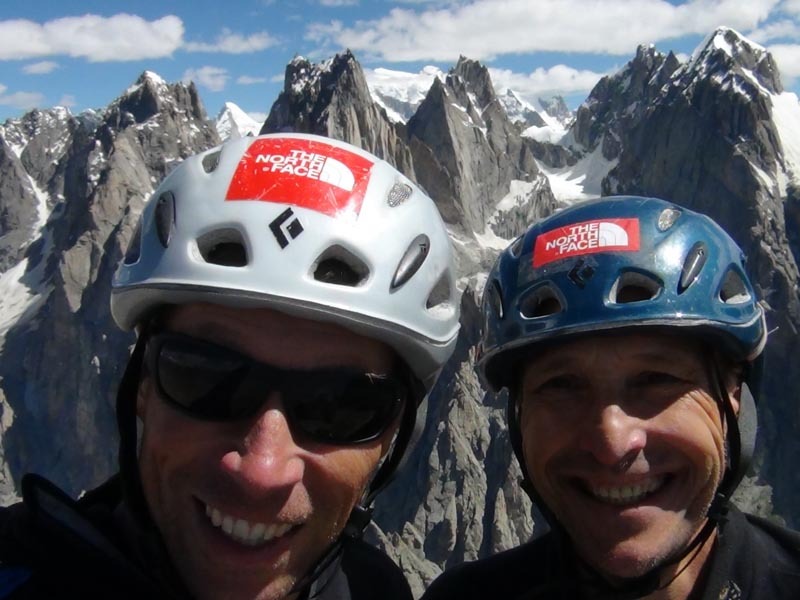 Then in two days (one bivouac at 5648 m), climbing 14 pitches with 50 m double rope. Used only nuts for protection. 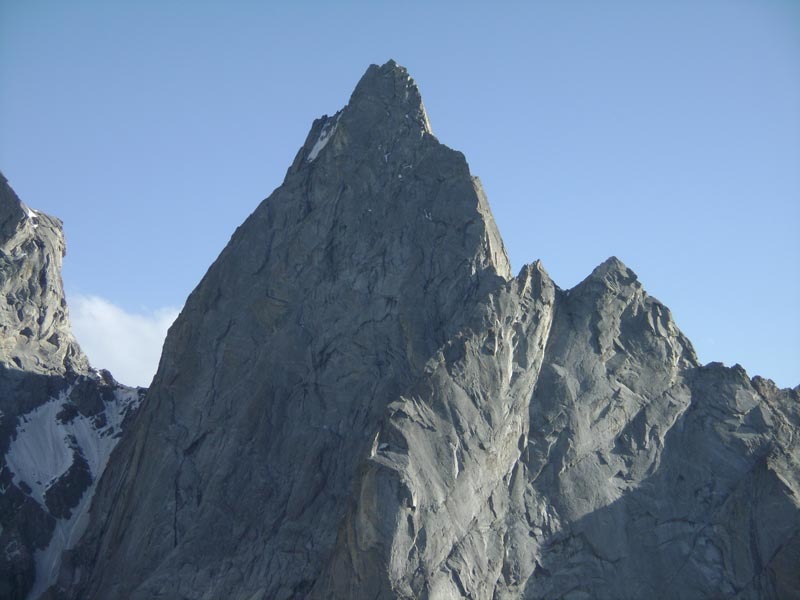 Et about 10 am on August 14 we reached the summit – un ideal rocky pyramid. 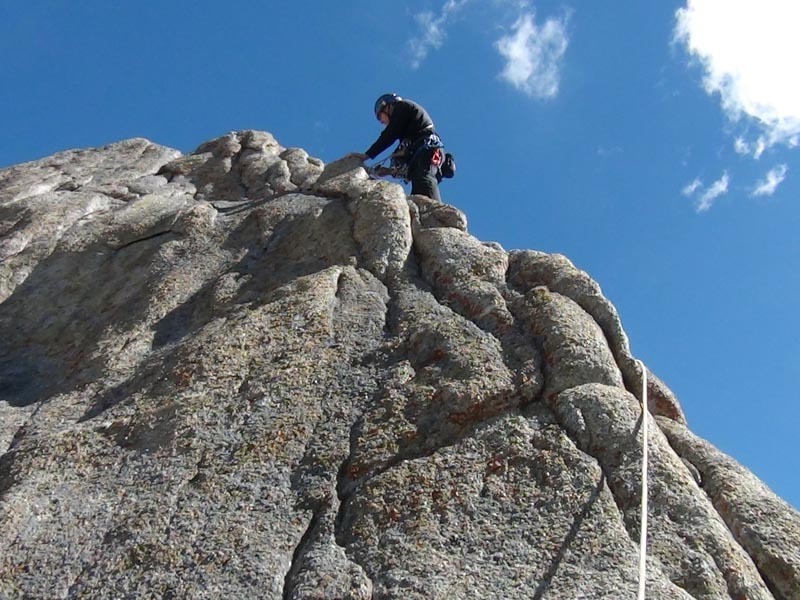 Then 10 big rappels to the icy/snowy couloir. We make a tent on the col between Meligo Peak and Grey Tower. It is difficult and danger to reach the col from Khane valley - because of last 300 m (icy, snowy and stone falls (pass early in the morning). 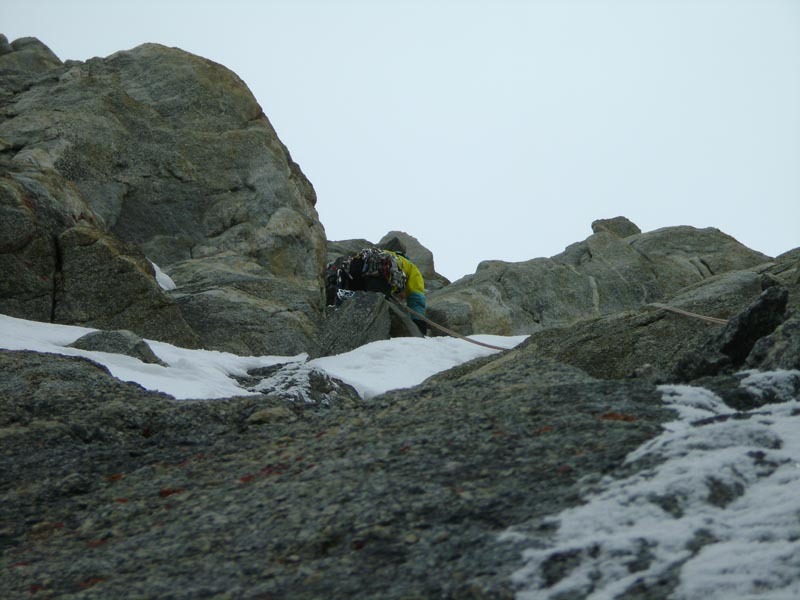 From here to the summit are 13 pitches in total, mainly easy and moderate climbing, with one/two sections 6a+/6b. 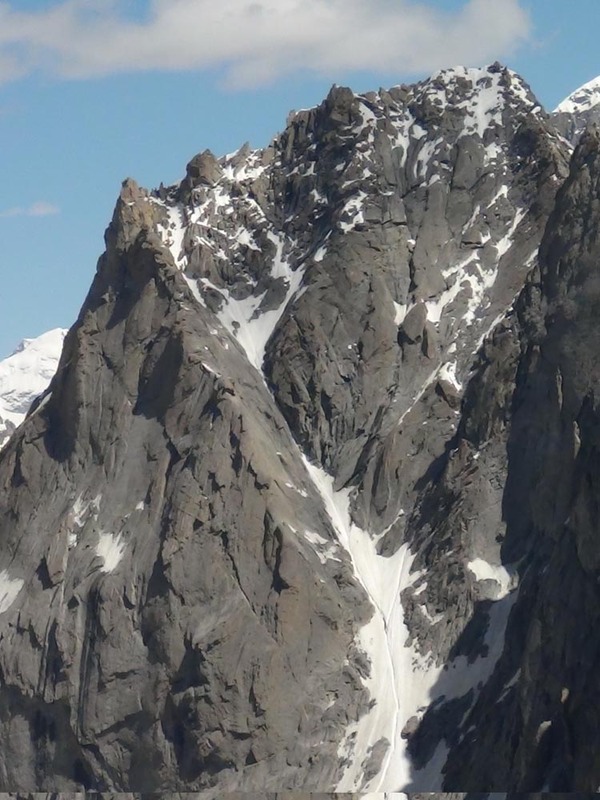 The summit itself is ideal needle, rocky, with a 2x3 m flat place on the top. Fantastic views at all directions. Then 11 rappels to the col plus 80 m down climbing at one place.